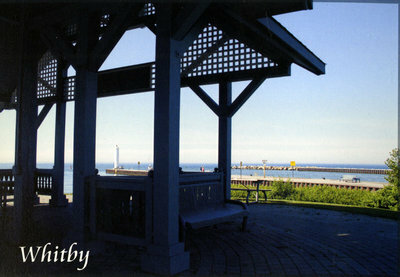 A colour postcard of the Whitby Harbour taken from a gazebo. Whitby Harbour, 2003, JPF Sales & Marketing. Whitby Archives.